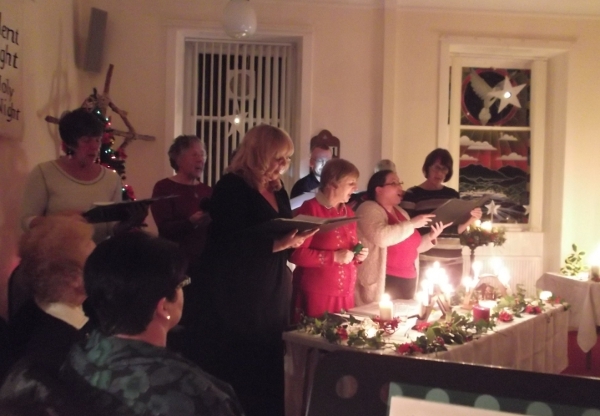 Our annual Candlelit Praise Service was held on Sunday 20th December. 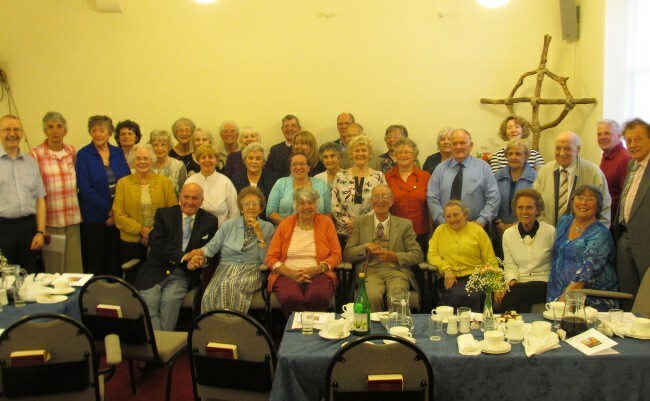 On Saturday 25th April the Church celebrated its 160th anniversary with a gathering in the evening. The speaker was Rev. 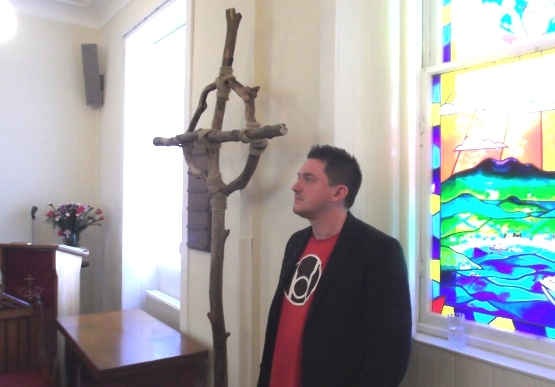 Jim McGillivray, a former pastor of this church, now at East Mains Baptist Church, East Kilbride. Jim also preached at the morning and evening services the next day, Sunday 26th April. We are gathered together in His name. Ron looks forward to the next chapter in his life. 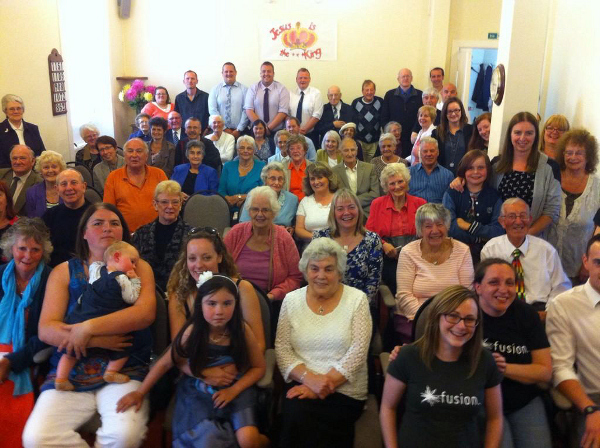 21st September was Ron’s last day as our Pastor. His morning sermon, passionate throughout, and sometimes emotional, completed Paul’s letter to the Philippians on a note of thanksgiving. In the evening, the church was packed for a praise service wishing him farewell. Favourite hymns were sung with gusto, Bill Lavender delivered an appreciation, and presentations were made to Ron and Steph. 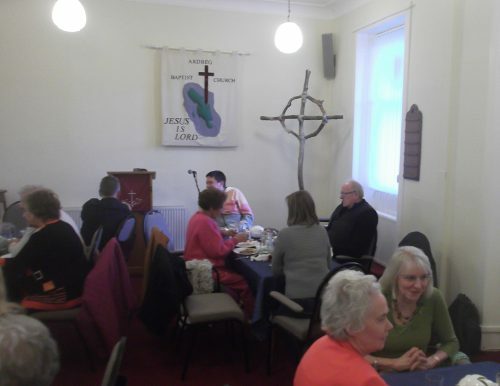 After the service, refreshments were enjoyed by all. The church was full for Ron’s farewell. Praise Him who gives new life to all who ask! 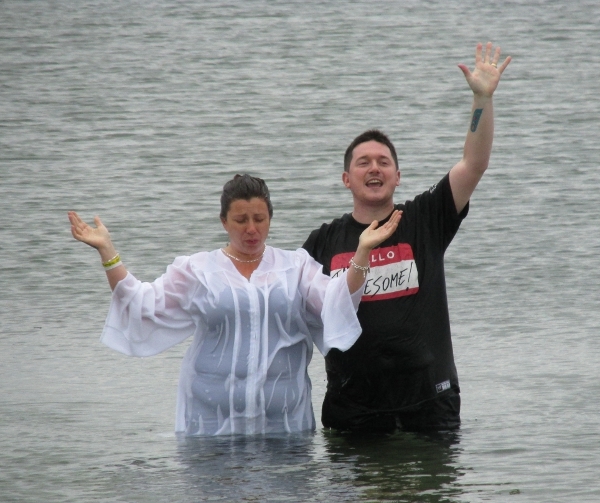 Nikkie was baptised by Rev. Ron Rye in the waters of St. Ninian’s Bay on Sunday, 14th September 2014. More details and pictures in The Ardbeg Record, No. 3. Click here. 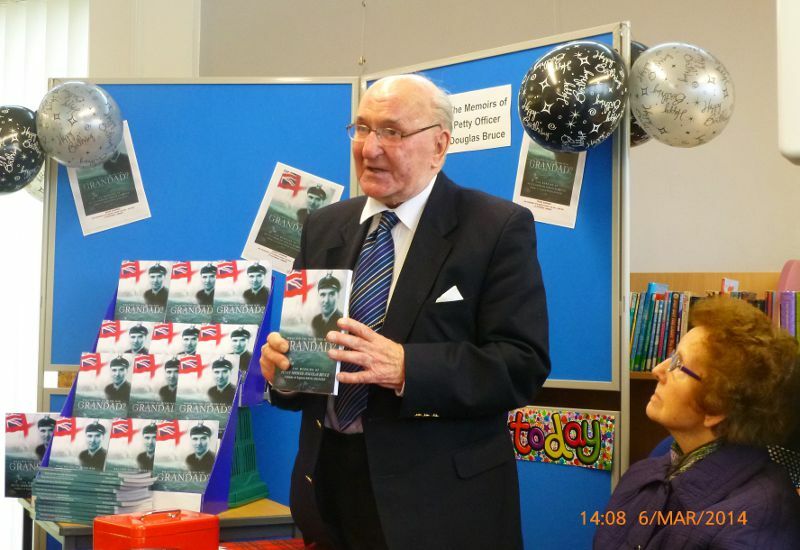 Douglas Bruce’s book What did you do in the War Grandad was launched at Rothesay Library on Thursday 6th March (Douglas’s 93rd birthday). Douglas and his daughter Ann gave short presentations and refreshments followed. The book is a good read, and thoroughly recommended. The anniversary dinner commemorates the official inauguration of the church on 8th April 1855 (we had been worshipping regularly there since November 1847). The guest speaker was Rev. Dr Stuart Blythe, Senior Lecturer at the Scottish Baptist College, who also preached at our morning service the next day. On 3rd February 2013 the new cross was dedicated. 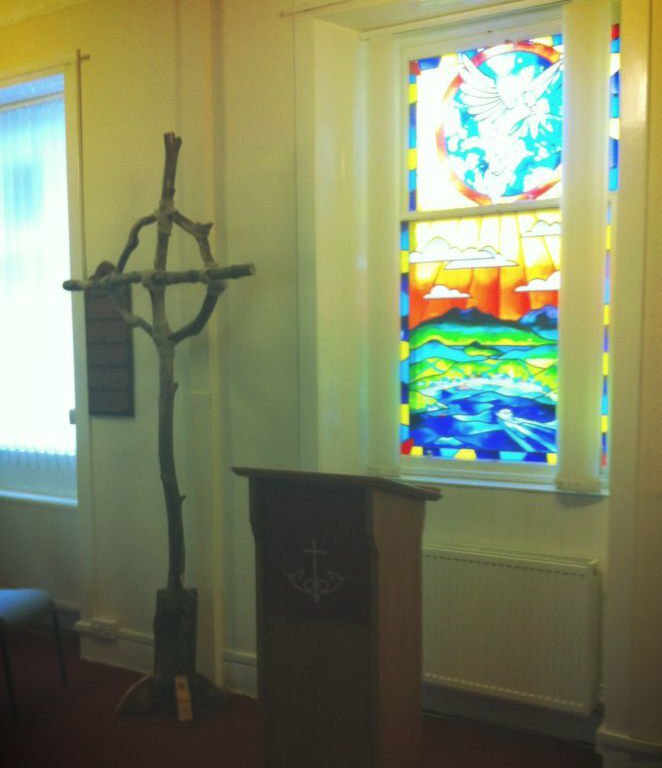 The cross was constructed by Vivien Martin from driftwood found on the northern shore of the river Clyde, around Dumbarton. The new cross in place in the church. The service was conducted by Rev. Ron Rye. During the morning service Allan came forward and gave his testimony to the congregation. 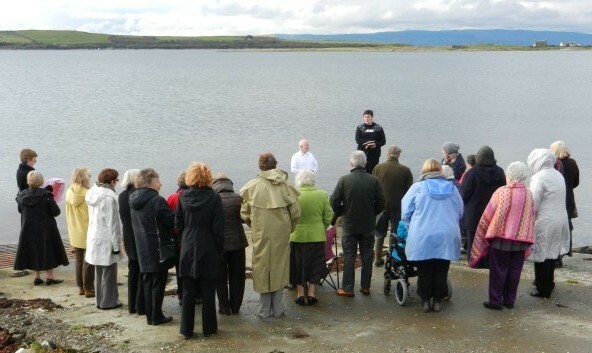 After the service the gathering moved to St. Ninian’s Bay for the baptism itself. Afterwards there were refreshments at the church, during which Ron welcomed Allan into the Church and presented him with a Study Bible along with certificates of baptism and membership.